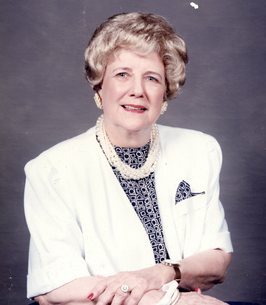 Nancy Marie Lawrence, age 94 of Holly Lake Ranch, Tx, passed away November 24, 2018 in Lindale, Tx. Nancy was born April 7, 1924 in Abilene, Tx to the late David George Benchoff and Nannie Fenton. Nancy worked in the oil industry for forty years, after retirement she moved to East Texas to be closer to family. She was a member of First Assembly of God – Mineola, Tx. Nancy loved animals, people, but most of all she loved the Lord. Nancy enjoyed helping others and would go out of her way for those in need. She adored her two grandchildren and her six great-grandchildren. Nancy was preceded in death by her parents, David and Nanny Benchoff and her brothers, Johnny and George Benchoff. Nancy will be lovingly remembered by her daughter, Jacklyn and her husband, Robin Walker of Holly Lake Ranch, Tx; grandchildren, Tracee Nutteno and her husband, Jay of The Woodlands, Tx and Rob Walker, and his wife, Tamie of Denver, Co; six great-grandchildren, Emilee, Ashley and Natalee Nutteno of The Woodlands and Josh, Sarah Grace and Jack Walker of Denver, Co. A viewing for Nancy will be held Wednesday, November 28, 2018 from 1 pm to 5 pm at Beaty Funeral Home, 5320 S St. Hwy 37, Mineola, Texas 75773. Services are November 29, 2018, 2 pm at Abilene City Cemetery, 633 Walnut St, Abilene, TX 79601. Nancy will be greatly missed by her loving family and friends. To send flowers to the family of Nancy Marie Lawrence, please visit our Heartfelt Sympathies Store.